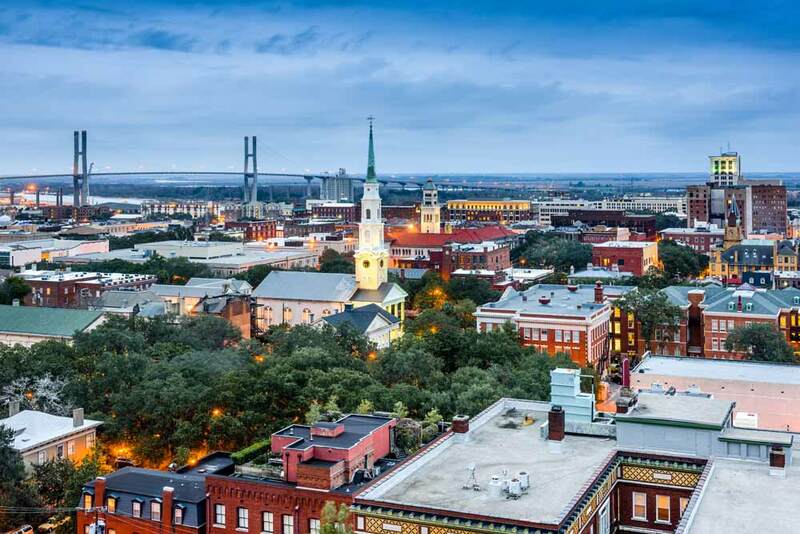 The housing market can be full of ups-and-downs, but due to a tremendous growth in the city’s economy, the Savannah housing market has reaped some serious benefits for both buyers and sellers. This USA Today article describes Savannah as incredibly affordable for such a well-known historic district. And, despite this growing attention, Savannah has found a way to keep that unique, quaint feel. Whether you’re a first-time homebuyer or looking to move into a new home, Savannah has many a different neighborhoods and housing types to choose from. The downtown area offers homeowners the closeness to cobblestone streets, stunning squares, and plenty of places to shop and eat. Moving out from the center, perhaps towards the islands or to a smaller (but growing!) town like Richmond Hill, you’ll find more family-centered neighborhoods. Pooler is also a booming place for military families and young, working adults due to its closeness to I-95. This coastal city has always been a popular spot for second homes, but 2019 brings with it a rise in the number of people seeking investment properties or a vacation home in the area. This fact stems from the closeness to the ocean and other reviving cities (like Hilton Head and Charleston, South Carolina) as well as the economic boom and city’s attention from the film industry. Luckily, the Savannah market (especially in terms of a second homes) is affordable. Moving out from the Savannah housing market to the national level, experts have compiled a list of predicted housing trends for 2019. We’ve picked out a few that relate to the Savannah market. Despite arising mortgage rates the demand for housing among the oldest millennials won’t be stopping any time soon. At a “peak household formation and home-buying age,” these millennials will be looking to put in some roots, which increases the “first-time buyer demand,” explains this article by Forbes. Whether they’re first-time homebuyers or are moving into a higher price range (for the square footage, location, or house itself), millennials will dominate the buyer side of the housing market. The availability of homes over the past couple years has been slim, but 2019 brings more homes for sale. Buyers can take a bit more time finding that dream home because of these options. Sellers: The people have been waiting! (Of course, the market will fluctuate from specific area to specific area, but this is a predication for the nation.) These homes will be in the mid-high price range, which usually suits the “move-up” buyers as USA Today calls them. In addition to the sheer volume of homes increasing from 10 to 15%, the choices for buyers will be abundant as well. If budget it an issue, then remain positive and stay open-minded to the options in your area. Perhaps consider a townhouse as your first purchase; the number of townhouse communities is “outpacing the single-family detached home market,” explains this article. With all of this market information in mind, the next step is to consult a Savannah-area expert. It’s safe to say that Maureen Bryant knows Savannah and Bryan County like the back of her hand, having been born and raised in the area, so if you’d like to learn more about the Savannah housing market, give Maureen Bryant’s team a call today! If you’re ready to move, then it’s time to contact a realtor who’s incredibly familiar with the greater Savannah area and can help you find the perfect home for you and your family. If you’re interested in open houses in the greater Savannah area. We’d love to talk with you because no one knows Savannah better than us.